The advantages of utilizing the services of an experienced fishing guide are many: While not a 100% guarantee for success, it will provide the best possible result under the circumstances and makes therefore best use of your precious time. But not only the knowledge of the fishing grounds and the current fishing conditions are important, but the guides also know the perils of the weather and the waters very well. And there is the convenience of a well maintained boat and an experienced helping hand when a big one is to be landed. There are several outstanding fishing guides in Sooke and Pat Williams (photo on previous page) is one of the best. 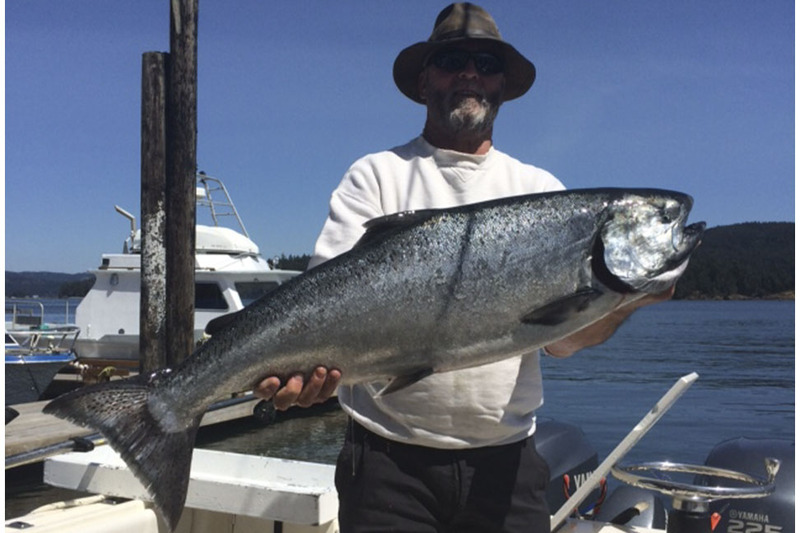 He has fished and guided on the BC coast for 30 years. He is fully insured and is a C-Tag certified guide with certificates in MED A3 (Marine Emergency Duties), SVOP (Small Vessel Proficiency) and Marine First Aid. Bookings can also be made via email: BlueFin777@me.com. 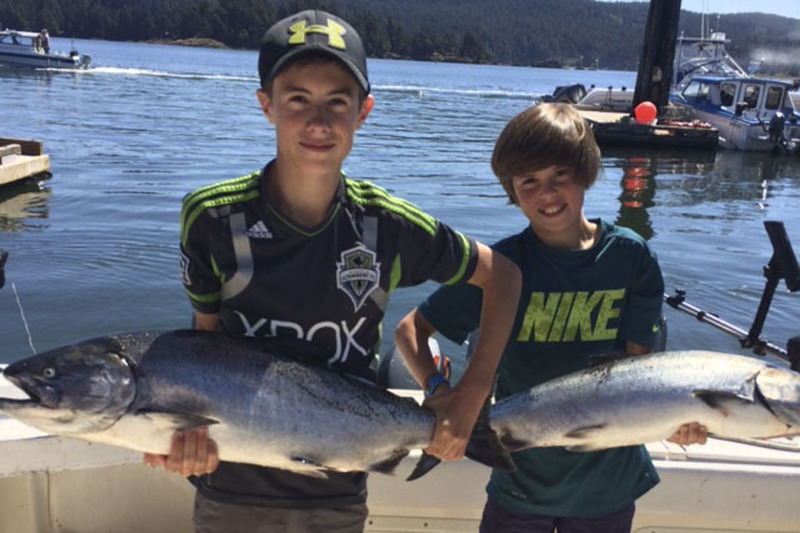 The mailing address of BlueFin Fishing Adventures is #44 - 5838 Blythwood Road, Sooke, BC V9Z0G3. Pat's boat, a fully equipped 27 ft. 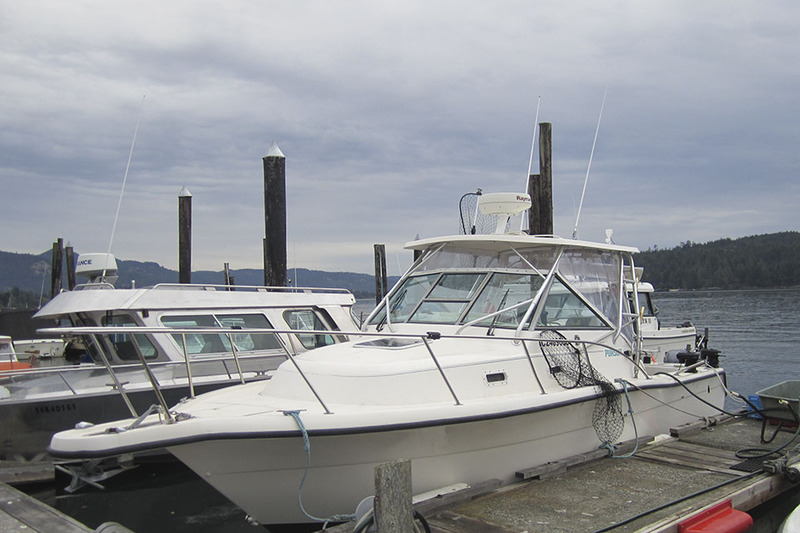 Pursuit with twin 225hp Yamaha outboards, is normally moored at Jock's Dock at 6947 West Coast Road in Sooke BC, right beside the Prestige Best Western. 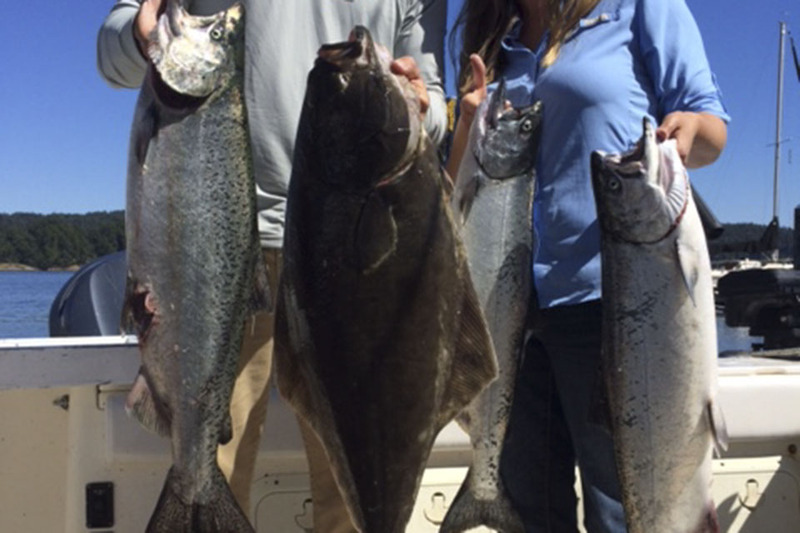 Bluefin Fishing Adventures is highly rated on tripadvisor. 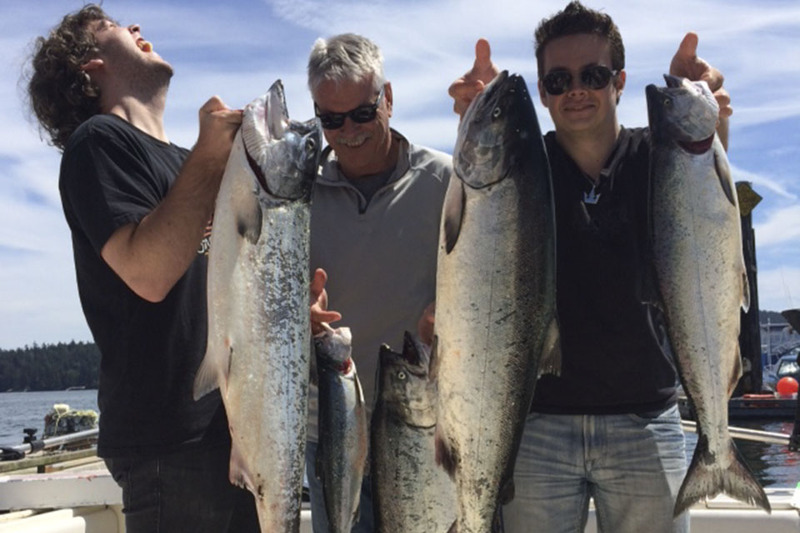 Fishing in saltwater is regulated by Fisheries and Oceans Canada, a federal institution, while fishing in freshwater is under the jurisdiction of the Government of British Columbia. 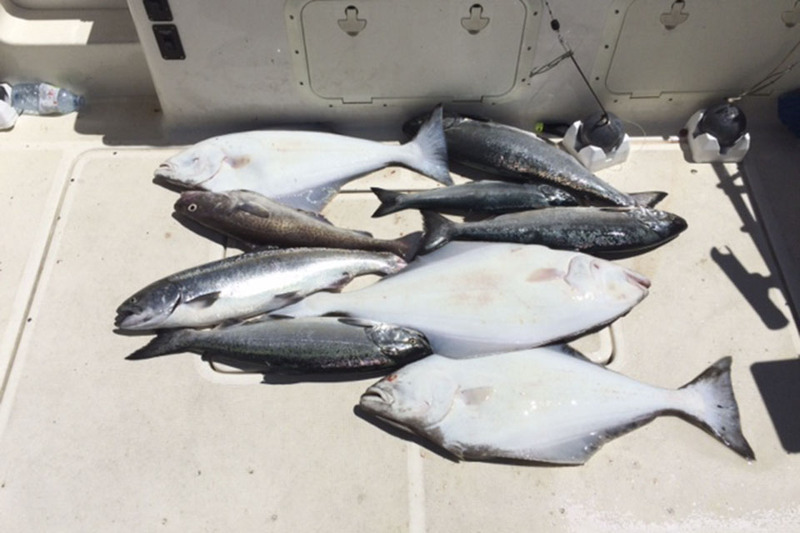 Nobody is permitted to fish or to collect sea food, when not in possession of a valid fishing license. All rules and regulations have to be observed. Pat supplies all bait and fishing gear, but you have to make sure to have a valid fishing license. If you have problems with the information and links in the previous paragraph ask Pat for clarification. Of course, if do not have a valid fishing license with you, Pat cannot allow you to fish on his boat. The weather can change quickly on the west coast! Therefore wear layers to adapt easily to changing temperatures and conditions. Rain gear is a good idea. Rubber boots are, too, although running shoes or any soft-soled shoes should be fine. Bring sunglasses and sunscreen as it can get very bright on the water. After a successful fishing trip Pat will clean, fillet and bag your fish. Bring a large cooler to transport your catch back home.